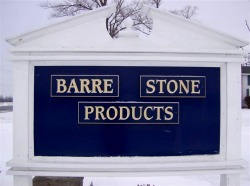 Barre Stone Products is a locally owned, 3rd generation family business, located in the Town of Barre, Orleans County. Our parent company, Keeler Construction Company, was incorporated in 1942 by Henry G. Keeler and has been involved in Heavy Highway Construction for over 60 years. Barre Stone Products Produces quality crushed stone products, hot mixed asphalt and agricultural lime. The quarry is located on Route 31A, 1 mile west of Route 98, along the Niagara Escarpment, a dolomitic limestone formation. In addition, Medina sandstone and gravel products are available from other locations throughout Orleans and Genesee County. All products meet state and federal specifications. With the support of the National Asphalt Paving Association, Associated General Contractors of America and many dedicated employees, Barre Stone Products is committed to providing quality, professional service at competitive prices.